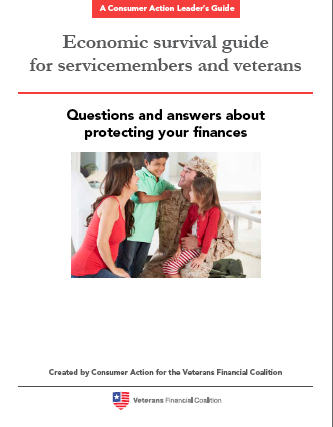 This module enables servicemembers and veterans to recognize and avoid scams and abusive credit terms, identify better borrowing and banking options and understand what special consumer finance protections they may have under the law. 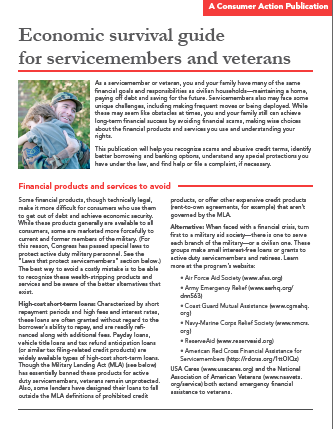 This fact sheet teaches servicemembers and veterans how to recognize and avoid scams and expensive or risky financial products/services and encourages them to take advantage of the many consumer-friendly borrowing and banking options available. It also explains the special consumer finance protections that active duty servicemembers have under the law. This backgrounder expounds on the topics introduced in the companion brochure. Presented in Q&A format, the guide answers dozens of questions for servicemembers and veterans, ranging from how to avoid predatory lenders and take advantage of mainstream financial services to how to handle student loans and deal with debt collection issues. 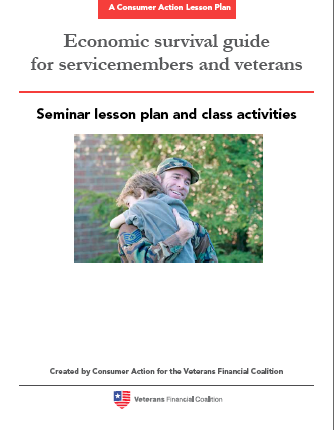 This downloadable packet guides community educators through a 2.5-hour presentation on servicemembers’ and veterans’ consumer rights, financial services to avoid and the better alternatives that exist, how to avoid scams aimed at veterans, and where to get legal and financial help. In addition to the lesson plan (to be used in conjunction with the downloadable PowerPoint presentation), the packet includes exercises, resources and a class evaluation form. 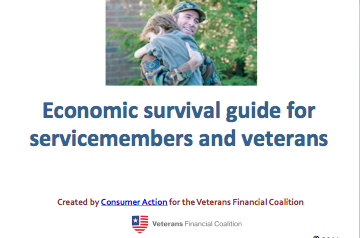 This downloadable PowerPoint presentation is designed to be used in conjunction with the “Economic Survival Guide for Servicemembers and Veterans” lesson plan. The slides provide a visual component to the training that will help to engage learners and improve retention.